In this series of posts looking at the evolutionary reasons for the extraordinary diversity of the major histocompatibility complex, I’ve already talked about two mechanisms that are probably not involved: Increased mutation frequency, and maternal-fetal interactions. A third mechanism that’s been proposed is sexual selection. It’s probably not a major player either, but it may contribute some to the diversity. I can separate this into two questions: (1) Is there sexual selection based on MHC? (2) If so, why? 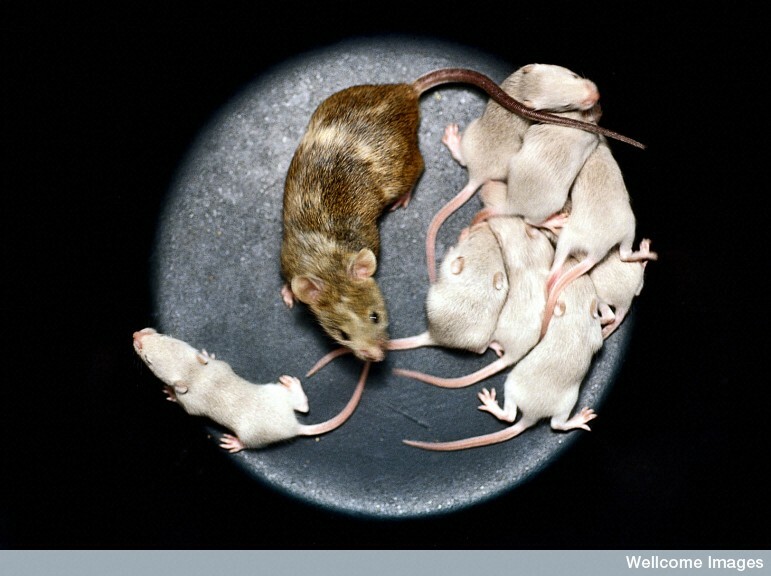 And apparently in at least one strain of mice the effect is reversed, so that the selection is for homogeneity. Attempts to resolve this have turned to other species. The work on humans has really been pretty crap, as far as I can tell, and inconclusive anyway. People have looked at various mammals, birds, fish (especially sticklebacks, but others as well), lizards, and so on, and have returned with evidence pointing both ways.5 (Of course, there’s no guarantee that every species has the same mechanism or the same requirements though, since MHC diversity is pretty much universal, it’s simplest to assume that there are universal reasons underlying it, too.) Overall, the literature has lots of smoke, but there is probably some fire in it as well. The neat thing about this is that, relatively recently, a non-classical MHC class I family has been implicated in odor detection. I want to talk more about that some other time, so that’s a teaser, I guess. Or, of course, both are possible — they’re not mutually exclusive. What’s more, different forms of selection may likely act at different points in a species’ existence: there may be a period of strong parasite pressure, say, followed by generations with minimal parasitism to deal with during which mate choice maintains the diversity. To the extent that there’s any consensus on this, the general sense is that any MHC-based selection is directly based on the fitness associated with MHC — choosing a mate to keep their MHC from becoming homozygous — rather than purely as an inbreeding-prevention mechanism. If so, then sexual selection may be a mechanism for keeping MHC diverse, but doesn’t really answer the original question of “why” MHC is so diverse. There are two remaining major possible explanations for that. This entry is filed under Evolution, MHC, Science. You can follow any responses to this entry through the RSS 2.0 feed. Both comments and pings are currently closed.